One trailer shy of a Furious 7 joke. Sigh. I know a lot of people are concerned that the bubble’s going to burst on movies geared towards those of the geekier sort. 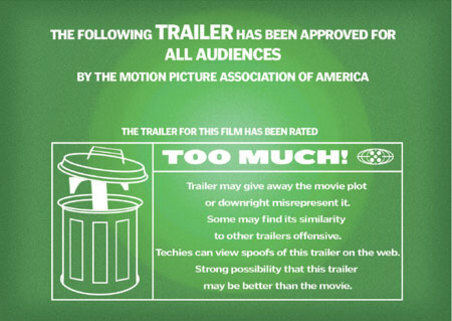 If, however, the quality of the six movies whose trailers dropped within the last two weeks is any indication of their quality, then I think we’re good, where movies are concerned, for the next couple years. The last four days alone have seen most of those trailers released into the murky atmosphere of the internet, so I thought I’d go ahead and give you my thoughts on these films based on the most recent and previous trailers. Spoiler alert: I plan to see all of these films. I may have reservations about a few, some more than others, but I’m also the type of person who likes to experience the entire movie before I decide whether it’s the new love of my life, the biggest assault on the senses since Batman & Robin, or a disposable piece of fluff. I’m just that type of girl. Go figure. Anywho, on to the trailers. Second spoiler warning: The Terminator Genisys trailer gives away the biggest twist of the movie, so if you’ve managed to avoid it and want to remain in the dark I’d recommend scrolling down really, really fast and move on to the next trailer at a furious pace! Since the first trailer dropped I’ve been on board with the concept of Jurassic World as the logical extension of the original Jurassic Park (1993). Park and World share the same themes of scientific and corporate hubris with World upping the ante as the genetically modified dinosaur created to boost attendance wreaks havoc on the park. Previous trailers and clips have shown the movie will definitely be calling back to some of the more well-known moments in the first film while sticking to the tried and true formula of monster movie scares, dinosaur fights, and possibly some philosophical discussion about blah, blah, blah and oh my God Chris Pratt on a motorcycle riding with his velociraptor hunting pack! Ahem. Sorry, what was I talking about? Anyway, at the very least the movie promises to at least be visually stunning with each park attraction having a very Disney-esque immersion happening. And I know this is wishful thinking, but if there’s any chance Jeff Goldblum’s Ian Malcolm could make a for real cameo, I’d consider this movie a win. Yeah, I’m not sure why a trailer was made that gives away what would arguably be the biggest mind-blowing moment in the movie, but there ya go. Either the filmmakers and the production company really think Arnold Schwarzenegger’s return to the franchise will put butts in seats just because or they’re really worried no one will see this movie because the last two installments didn’t do them any favors. To be fair, the premise is intriguing. With all the time travel that goes on in the myopic missions of machines trying desperately to eliminate one dude from the timeline, the idea of alternate timelines and what if scenarios actually makes sense. Of course, the type of time travel setup in the Terminator movies requires time to be linear otherwise John Connor’s future would keep changing. There’s also the notion of fate and fixed points in time because the machines keep sending assassins to kill John and his mother and yet they never succeed. But I’ve already put too much thought into this movie. Sorry, time travel as a narrative device is one of those things I obsessively pick apart. But hey, Emilia Clarke looks like a rad young Sarah Connor! I like the trailers for this movie more and more. Yes, it’s disappointing that Janet Van Dyne, a founding member of the Avengers has been all but written out of the Marvel Cinematic Universe, but here’s hoping that Evangeline Lilly’s Hope Van Dyne will become the Wasp and give Ant-Man a run for his money! After the teaser trailer left something to be desired based on the performance of previous Marvel trailers, this one definitely makes up for it in every way possible. Better jokes showing off Paul Rudd’s endless charm as thief turned hero, Scott Lang, and a nice hero turned mentor dynamic set up between Lang and Michael Douglas’ older Hank Pym. Since Hank was also a founding member of the Avengers in the comics, it’ll be interesting to see how they incorporate the Ant-Man origins into a world where superheroes have only been a recent thing. Plus, I’m really digging the effects as Ant-Man and Yellowjacket shrink and grow during their fights. Even though the climactic battle will occur in Scott’s daughter’s room among her toys, director Peyton Reed promises there’s much more to it than just a cute shot of an epic battle on a Thomas the Tank Engine. The Fantastic Four…with powers! Much better, 20th Century Fox. Like Ant-Man, the Fantastic Four teaser trailer didn’t exactly wow anyone, but this trailer feels like we’re getting a better idea of what the movie will actually be about. Yes, the premise for Marvel’s first family has always been a bit hokey, but there’s plenty to work with as the crux of the movie will center on Reed Richard’s genius that leads to the discovery of another dimension and ultimately changes him and his friends into superpowered heroes. Oh, and Doctor Doom is there too. Doooooom! Reed’s sense of responsibility and his guilt are a huge driving force behind the character so I’m interested in seeing how this will play out in the movie. Crucial to this is the friendship between Reed and Ben Grimm, so hopefully the dynamic between Miles Teller and Jamie Bell has some meat to it. Otherwise we’re just looking at four strangers who happen to get cosmic powers, live together and have their lives taped. Like a superhero Real World. So, yeah, I like what I see from director Josh Trank so far. The effects look amazing and there was actually some humor. Thumbs up for now! As someone who only looks at Star Wars through the movies (I know, I know Clone Wars and Rebels are part of the canon), I held out a lot of hope for Episode VII after being terribly disappointed by the prequels. Thankfully, it looks like J.J. Abrams will be doing right by the franchise because I love every friggin’ second of this trailer. The opening shot of the Star Destroyer is gorgeous and Luke’s narration made all the goosebumps happen. Do I really need to explain how awesome that final shot was? Do I? It’s Han and Chewie, for cryin’ out loud! This looks like the movie we’ve been waiting for as the older generation gets ready to pass the baton down to the next. How John Boyega, Daisy Ridley, and Oscar Isaac’s characters factor into the universe post-Return of the Jedi still remains unclear, but that’s part of the fun. If all I have going into this movie are the ridiculously awesome visuals, then I’m still going in content with my ignorance of the plot. I want to be surprised by this movie and fall in love with Star Wars all over again. So those are the most recent trailers. What did you guys think? Which movies are you the most excited for and does the trailer factor into that excitement?